Rev. Jones is a 2004 graduate of Concordia Theological Seminary. 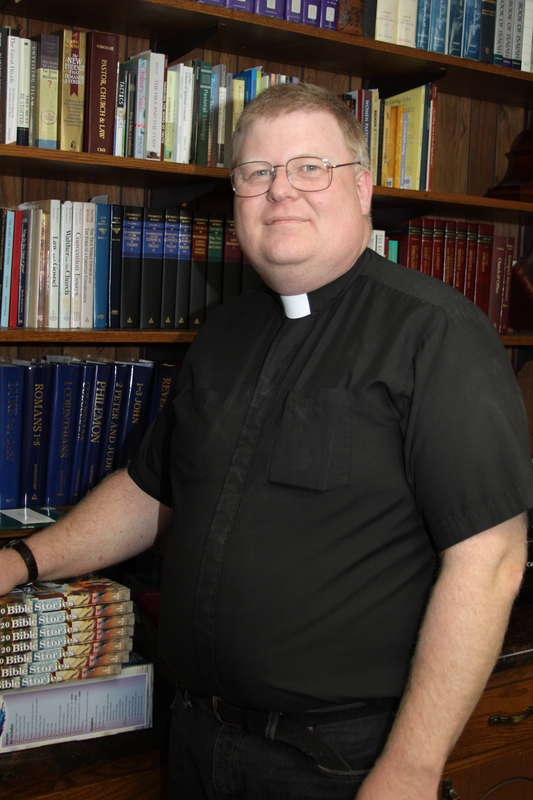 He was ordained and installed as pastor of St. Paul Lutheran Churches of Bennett and Stanwood, Iowa and was later called to serve at Trinity Lutheran Church of Jefferson, Iowa. In April 2017 he was installed as pastor of Zion Lutheran Church – LCMS and has been privileged to serve here ever since. Pastor Jones joyfully entered into the estate of Holy Matrimony when he was married to Christine in June 1993. Together they have been blessed with four children – Karl, Joanna, Elijah, and Benjamin (died March 2012). You may contact Pastor Jones directly at PastorZionCF@outlook.com.